Here’s from Green Beret, Joe Cortina, author of three volumes of “John 8:44 – Exposing the Sons of Satan” comments on another book about the Nuremberg Trials. 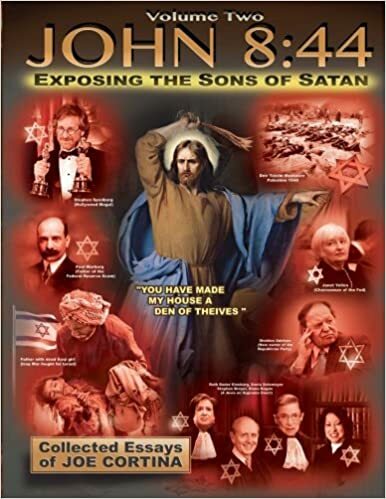 Jews faked it from beginning to end, but what I didn’t know was so many other top dignitaries agreed. And all of World War II for Jew’s only rights to leave Poland en masse and now occupy and control USA. Not only was the Holocaust a Jew hoax but entire World War I and II! All the agony suffered by White Christians for Jew bankers is atrocious. ALSO the preface was written by President John F Kennedy. May the greedy Godless treasonous actor Spencer Tracy rot in eternal hell for his role in legitimizing this outrage to civilized Godly mankind for his disgusting role as presented in a positive manner in the jew created film “Judgement at Nuremberg” . It was of course directed by the stinking Christ hating jew Stanley Kramer who portrayed the brave Germans as evil monsters – who did not START – OR CAUSE the war and whose ONLY crime to protect their OWN homeland from murderous atheist England and communist Christ EVIL mocking Merka.